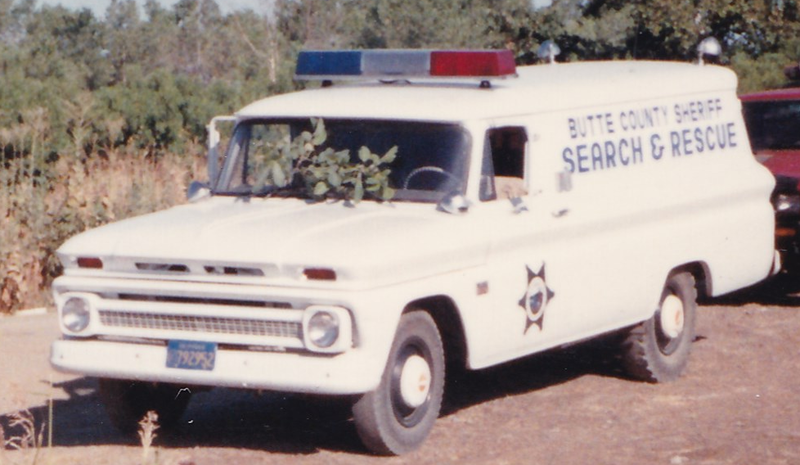 In the fall of 1960 a call was received by the Butte County Sheriff’s Office from the parents of a 3 year old Cohasset girl. The girl has been missing most of the day and the parents, with the help of local residents, had been unable to locate her. At this time Butte County had no Search and Rescue team. The Sheriff’s office responded with a few reserves and regular personnel. After evaluating the search effort already under way and the problems ahead, Deputy Bob Thorn and Sheriff Larry Gillick made an appeal on local radio and television stations for personnel to help in the search effort. As a result of this appeal, approximately 300 people tried to respond to the Cohasset area. This caused many problems for the people in charge of the search effort. There was a traffic jam on the only road leading from Chico to Cohasset. The volunteers arriving in Cohasset did not know where to go or what to do. The large number of people involved made the task of running an organized search impossible. The number of people searching any one area destroyed any clues or evidence that may have been found by a trained team. In short, the operation was a nightmare for the people charged with the responsibility of finding the girl. The girl was located the next day by one of the volunteers about a mile and a half from her home. She was scratched up, cold and hungry, but otherwise in good health. 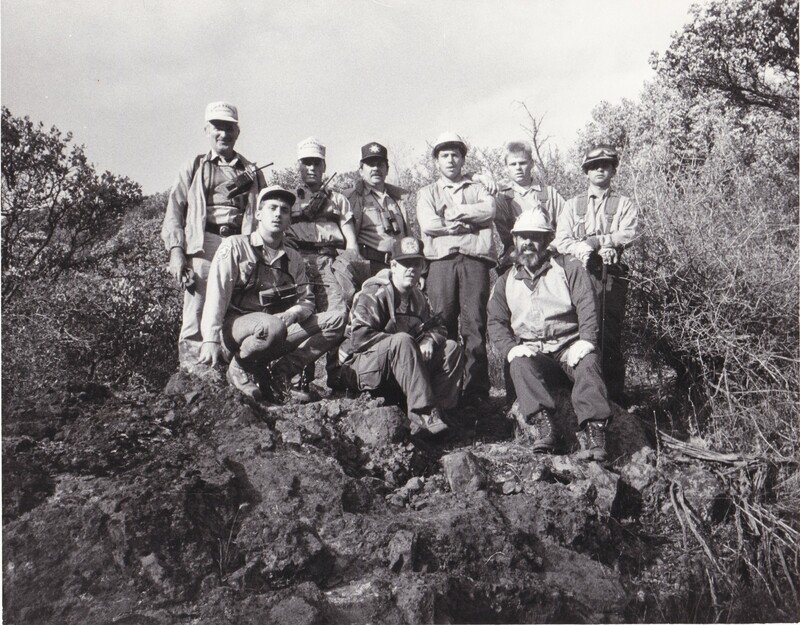 After their experience with this search, Sheriff Larry Gillick and Bob Thorn were convinced that Butte County needed a well-organized and well-trained group of volunteers to form a Search and Rescue team. In 1961, the Butte County Sheriff’s Search and Rescue Team was formed. 15 men, who lived throughout Butte County, boasted their wide capabilities of having “vehicles that traversed the wilderness, citizen band radios, and skills of mountain climbing and skin-diving”. 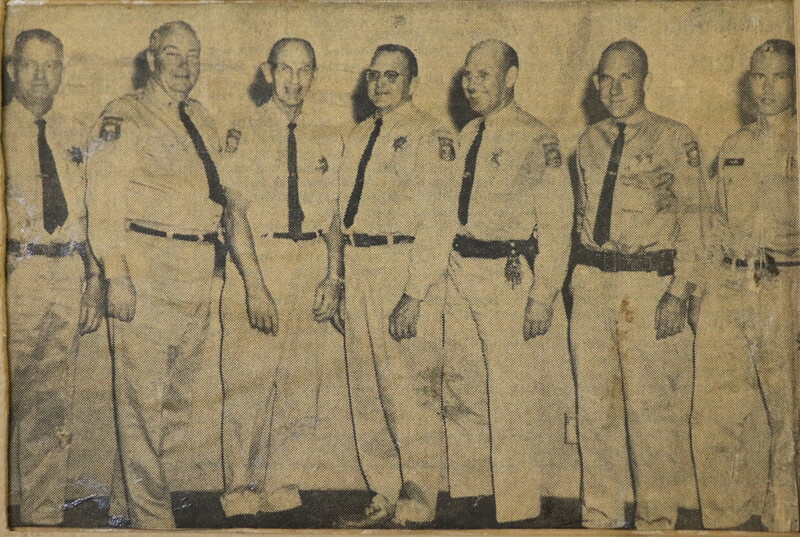 Charter members of the team (left to right): Lt Charles Esping and Lt Troy Tallen, elected the group’s first Captain, both of Paradise, and Chicoans Lee Simens, Ron Evans, Bruce and Ralph Ackerman, and Bob Rears. 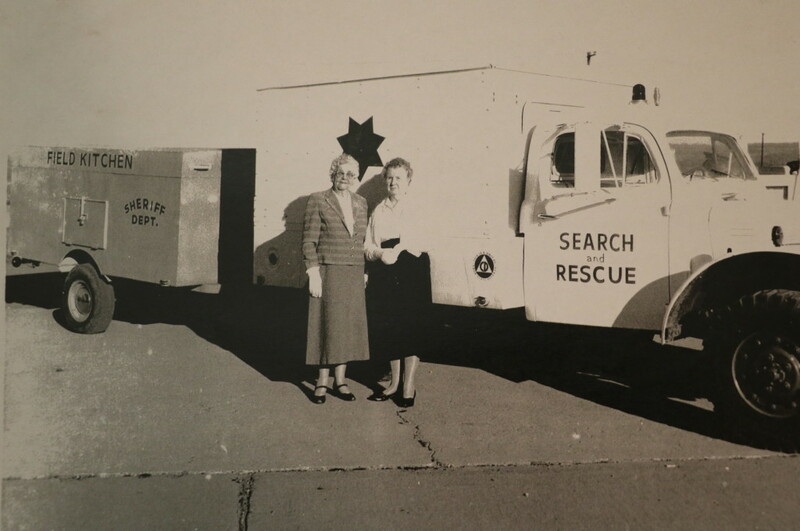 The team’s first Rescue truck, along with the Sheriff’s field kitchen. 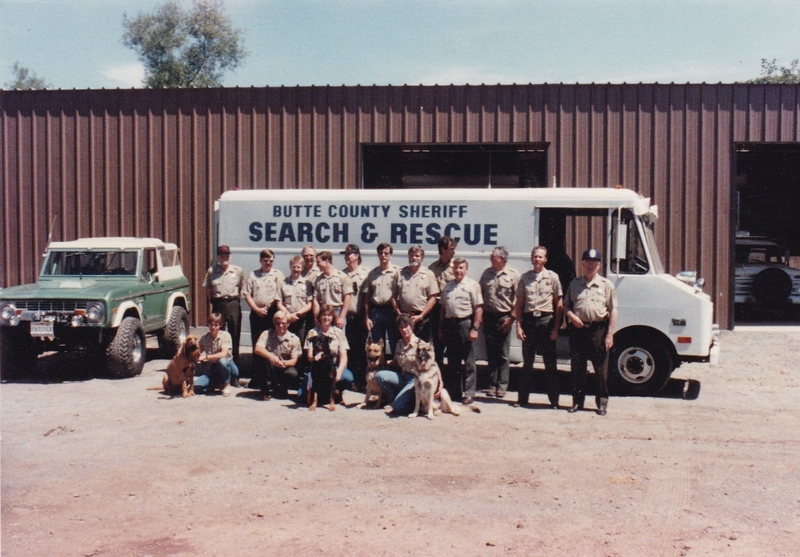 BCSAR Team in front of the “warehouse” in the late 1980’s.